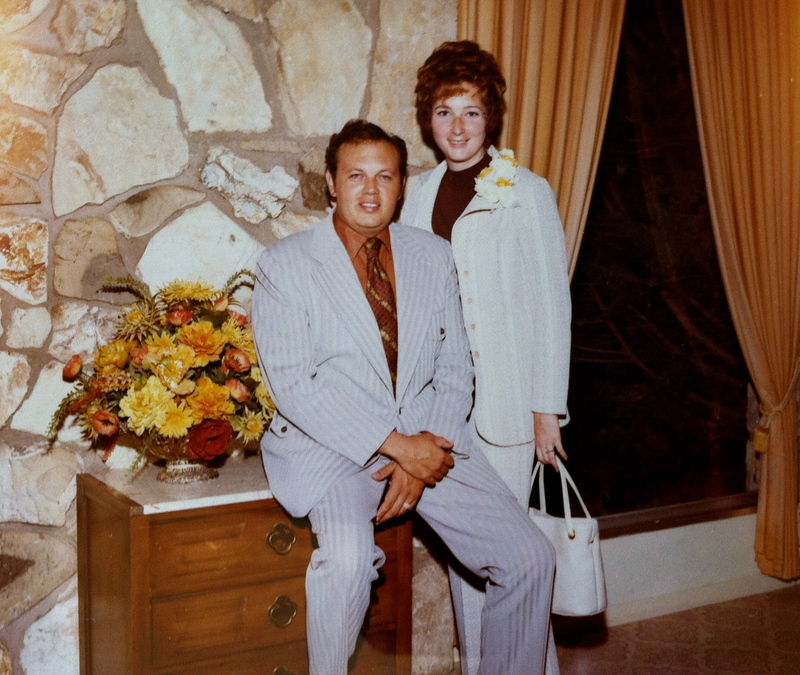 About 40 years ago, my dear Mama was just a young newlywed, learning how to be a wife (and stepmother). My folks’ church was holding an autumn gathering, giving out pumpkins to be made into pies and sold as a fundraiser. My mom has never been one to back down from a challenge, so (despite never having made a pumpkin pie from scratch) she dove in and baked two beautiful pies with fabulous homemade crusts. 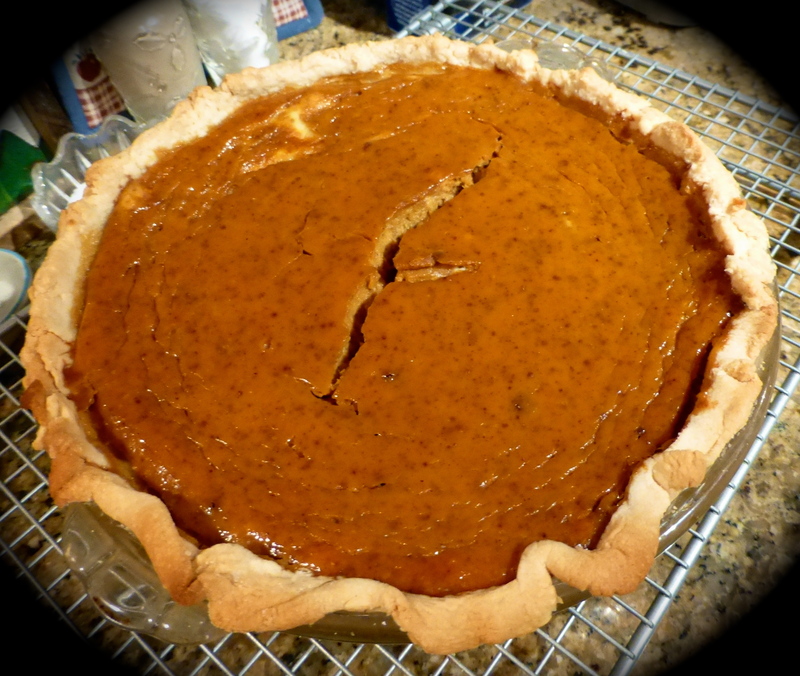 My dad says, “They were by far the best-looking pies at the sale (they always are), and they sold quickly.” Neither of my parents recall exactly how they discovered that she’d removed the pumpkin seeds but not the STRINGS… but someone bought those pies, and possibly served them on a holiday table. I’ve always imagined the look on the poor sap’s face who hungrily took a big bite of pie and ended up with a mouth full of pumpkin strings. The story has become a bit of family lore, still prompting a giggle from my father and a cringe from my mother, four decades later. 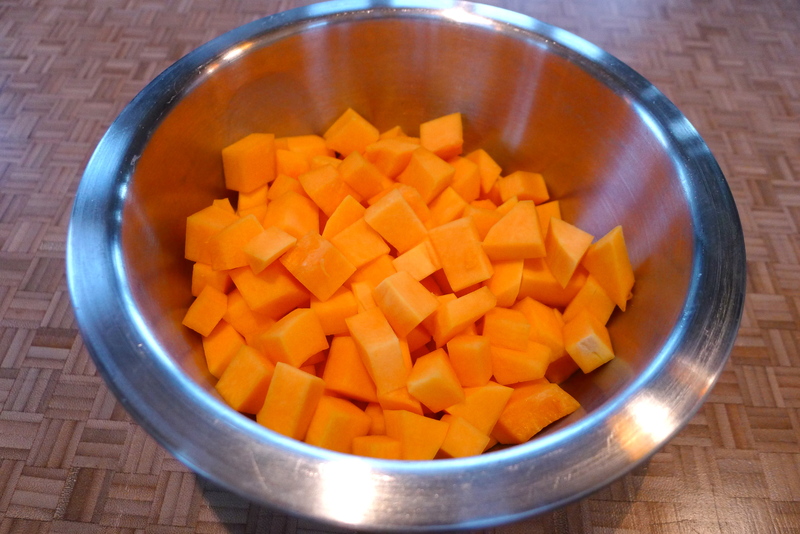 Hearing this story made me admire my adventurous Mom… and made me completely averse to cooking with a whole pumpkin. It’s intimidating. Gourds of any kind are lovely to look at, but that’s where it ends for me. I’ve never attempted to use spaghetti squash in a dish, despite knowing it’s a popular and likely delicious pasta substitute. 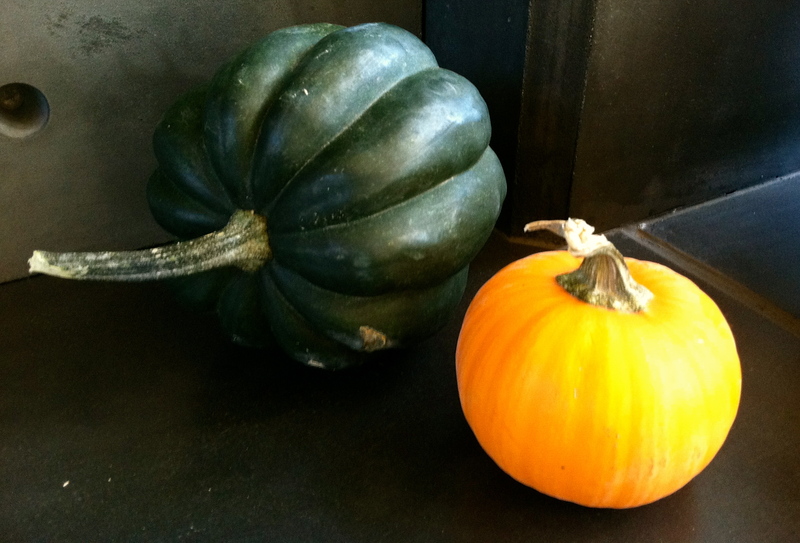 I’m not sure what to do with an acorn squash, besides use it as autumn décor. 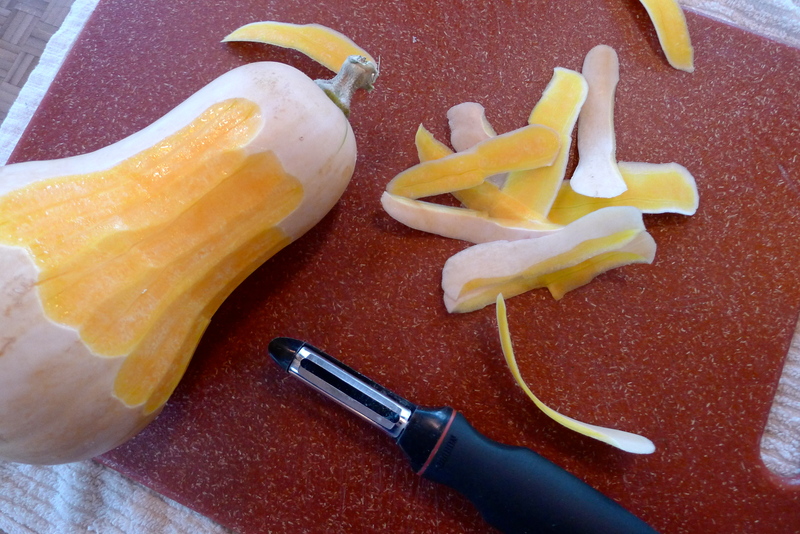 I’m certainly not as brave as my mother is, but there’s something about a butternut squash seems approachable. 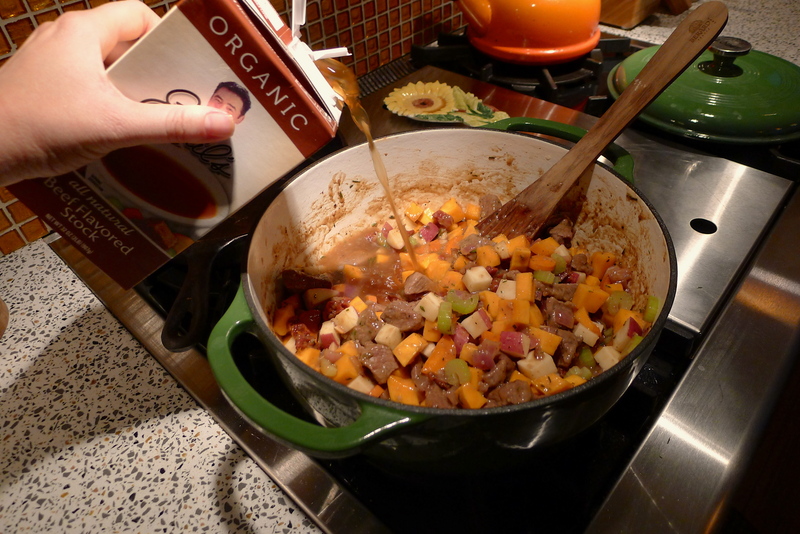 I spied a stew recipe with butternut squash on one of my favorite blogs, and I happened to have two of them on hand (adorning my hearth beautifully). I imagined my mom at 23, forging her way into a new life with four skeptical stepkids, taking that pumpkin from church and attempting something she’d never done. I thought, why not? The rest of the ingredients were more in my comfort zone. 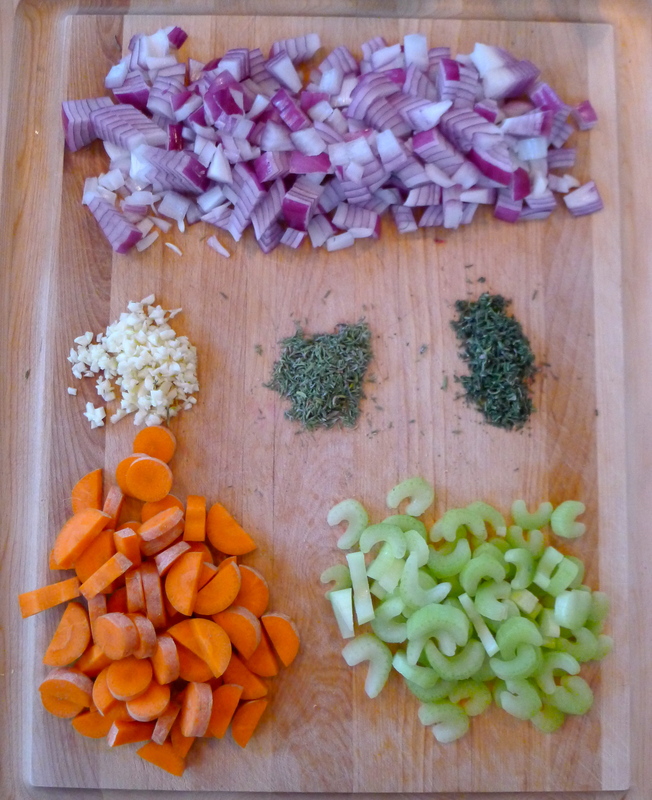 I like stew to be thick and chunky with lots of veggies, so that’s where I started, with the usual suspects: onion, garlic, celery, carrot. 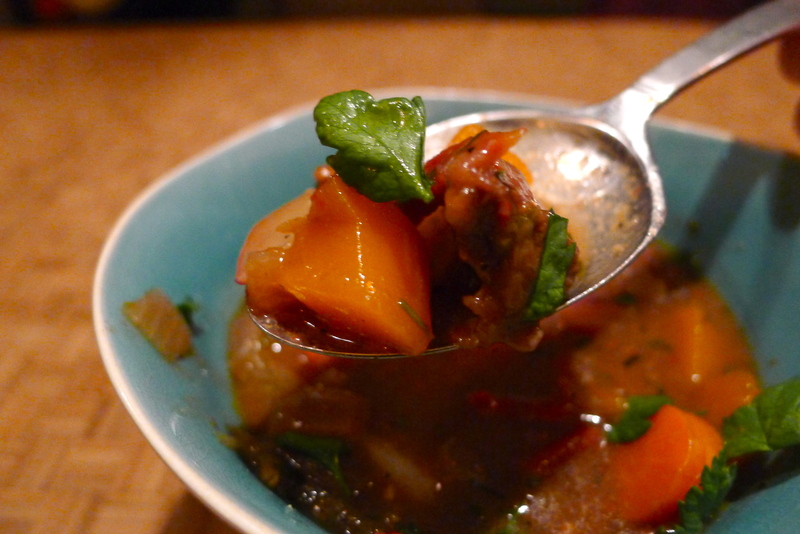 I chopped up a potato, and don’t forget fresh herbs! It was time to face my fear. 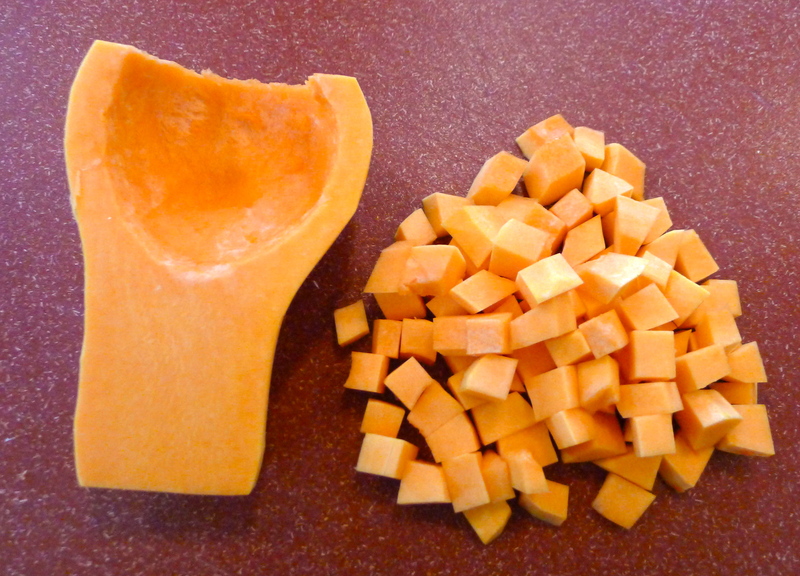 I started by peeling the butternut squash, then cut off the top and bottom and sliced the whole thing in half. 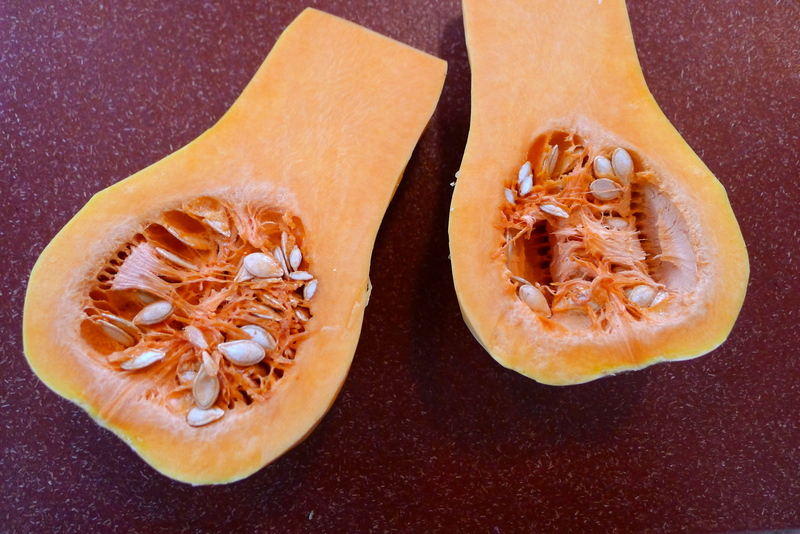 The seedy insides made me smile, thinking of my mom and the pumpkin four decades ago. There really weren’t a lot of insides, and I made sure to scoop out the seeds AND stringy parts. 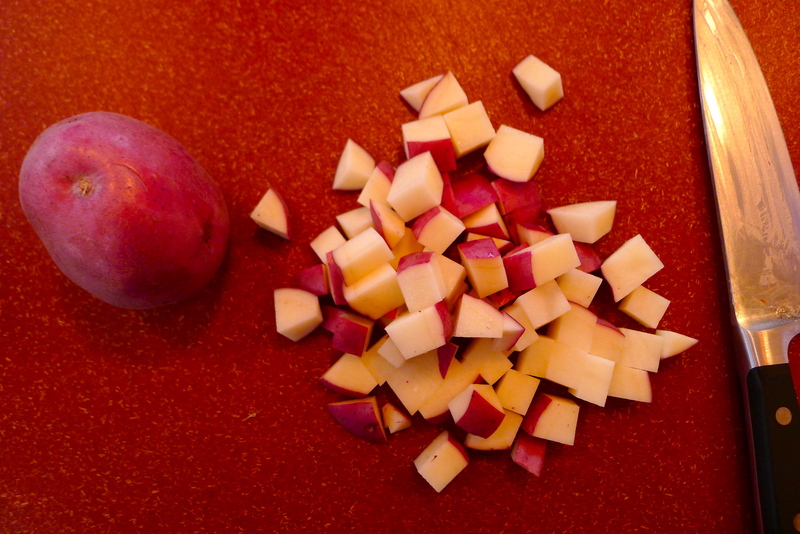 Then, I simply chopped it into cubes, like a potato. So easy! 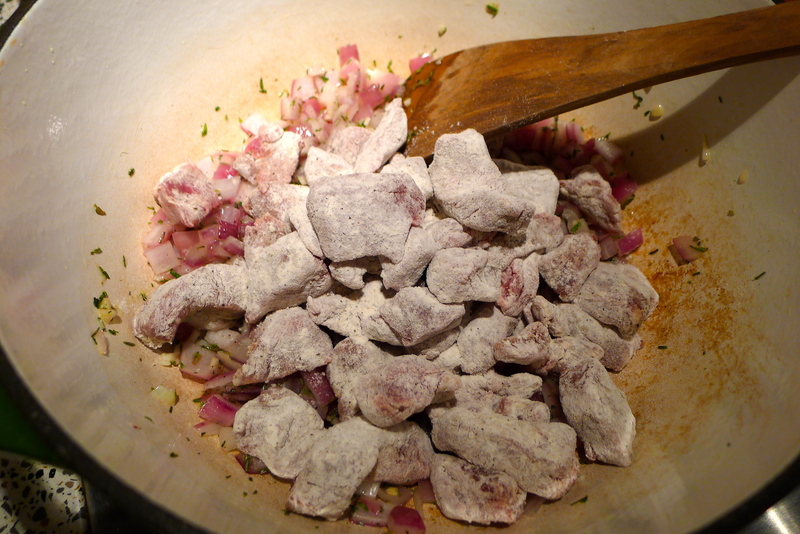 I added the floured meat to the pot and let it get nice and browned. 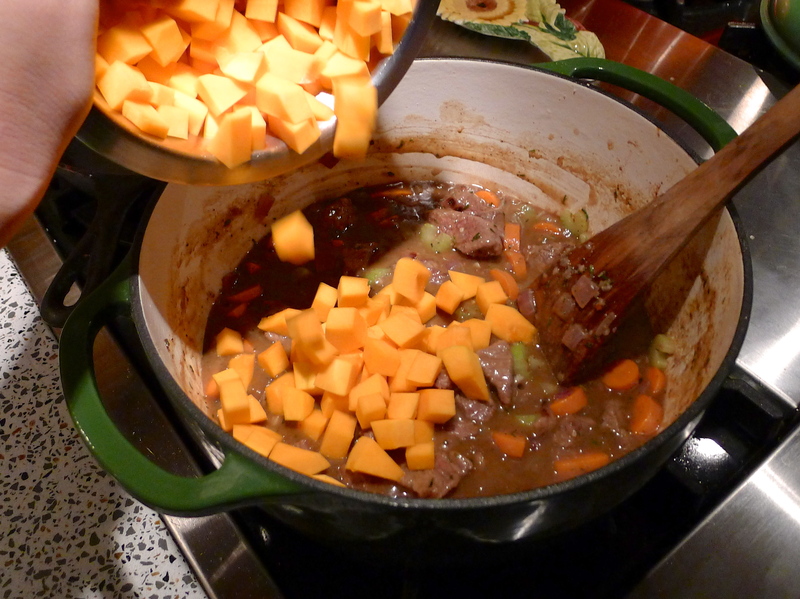 (Here’s where I remembered to add in the carrot and celery… oops.) 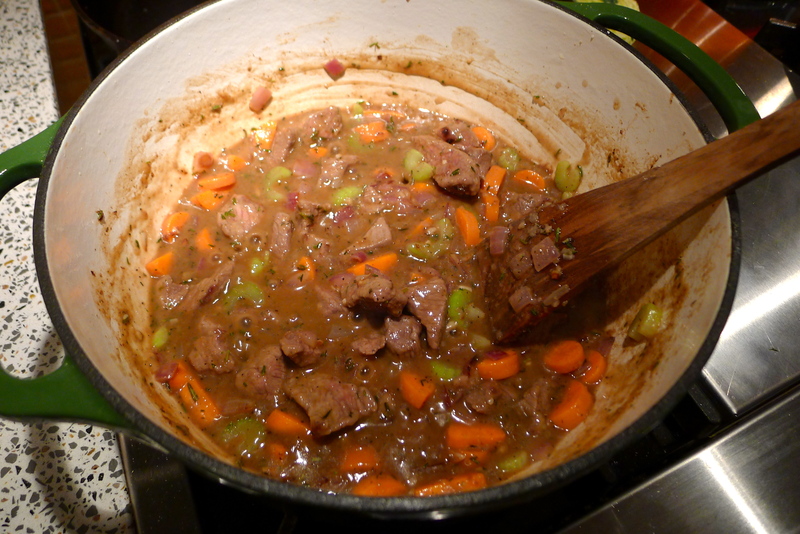 Next, I poured in a cup of Marsala wine, and scraped up all of those yummies on the bottom of the pot. 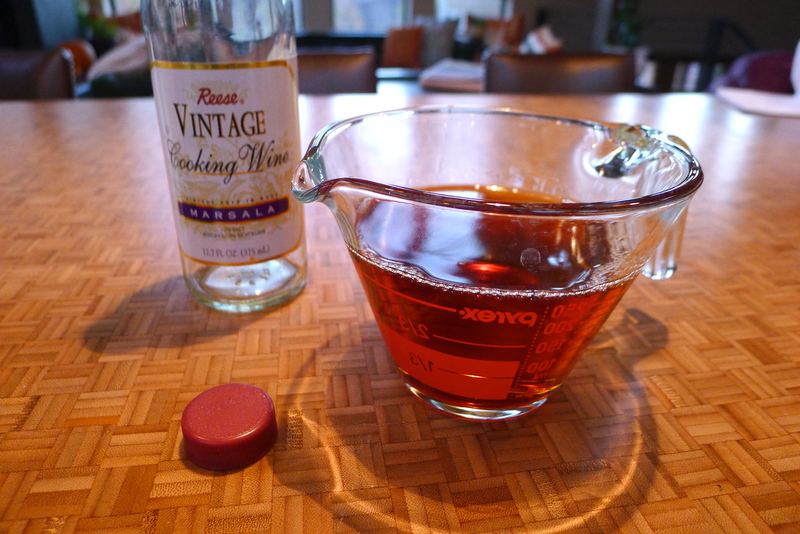 The wine thickened into what seemed like a gravy- mmm! I let it all cook for a few minutes (trying to get the forgotten veggies a little tender), then added my new best friend: the butternut squash. 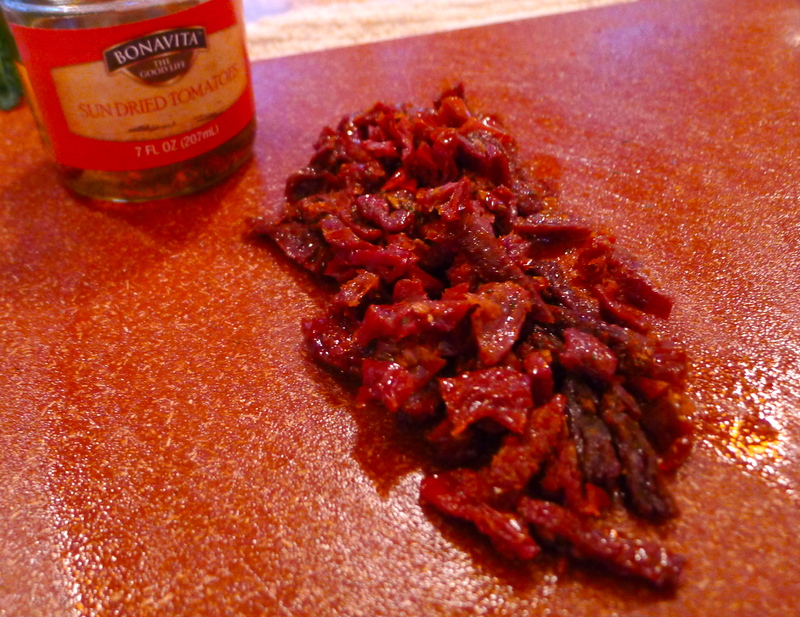 In went the potatoes, along with some chopped sundried tomatoes. 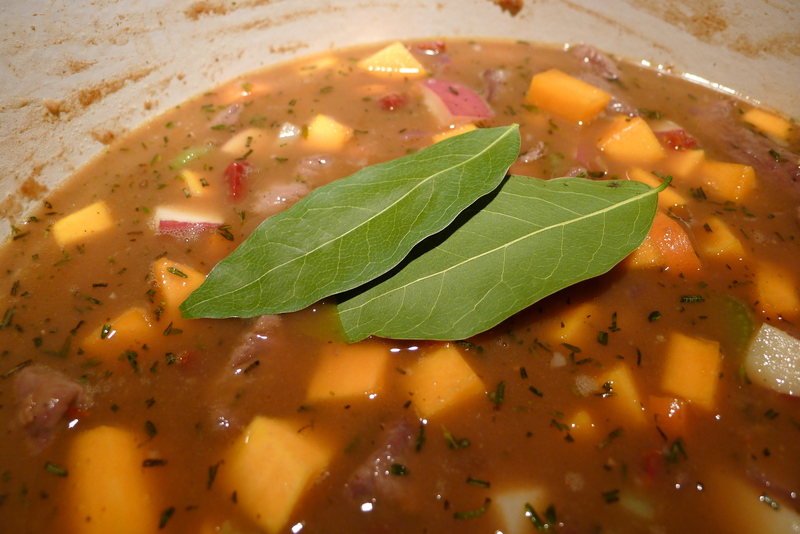 After the flavors mingled in the pot for a few minutes, I poured in some organic beef broth and tossed in two bay leaves for extra flavor. And then I let it simmer away into deliciousness for an hour. 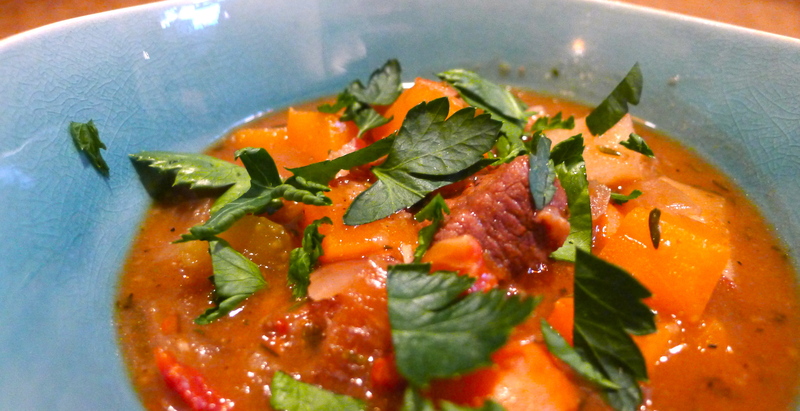 Our bowls of stew were hearty and chunky, just the way a good stew should be. 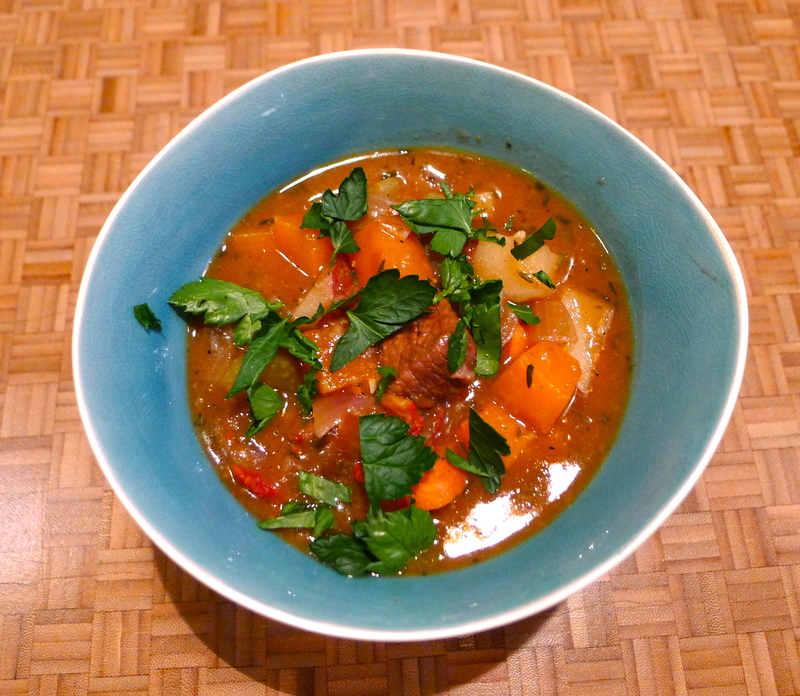 I topped it with Italian parsley, which added a freshness to each bite. The Marsala wine and the sundried tomatoes brought a hint of sweetness, and the butternut squash was a delicious alternative to just potato. 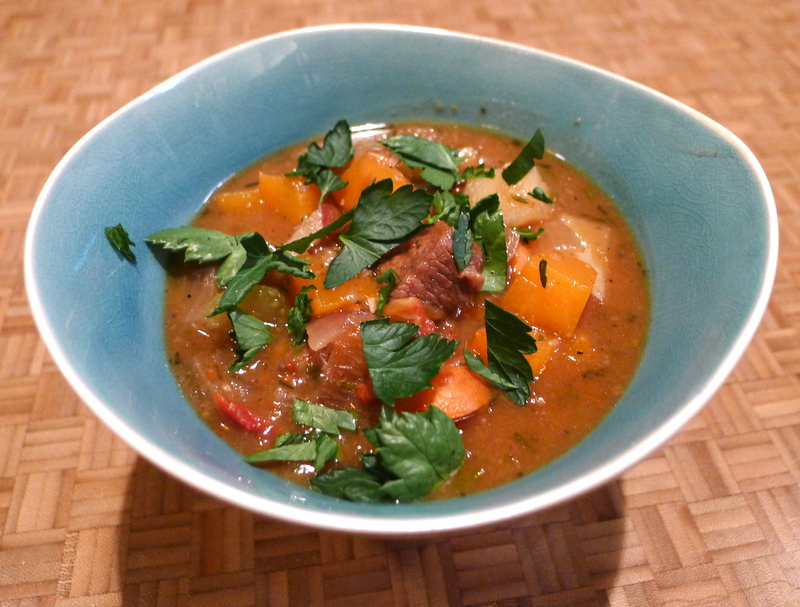 It’s the perfect stew for a chilly autumn night- and now cooking with butternut squash no longer intimidates me! Like most silly fears that hold us back in life, it was completely manageable once I made the choice to just try. And my reward was a piping hot bowl of YUM. As for attempting a homemade pumpkin pie, I think I’ll stick with my mom’s tried-and-true recipe. My dad says, “She may make her pies using canned pumpkin now, but they are still the best-tasting pies I’ve ever had (and pumpkin being my favorite, I’ve tasted more than my share).” Maybe my mom will make this stew and redeem herself in the Battle of the Gourd. 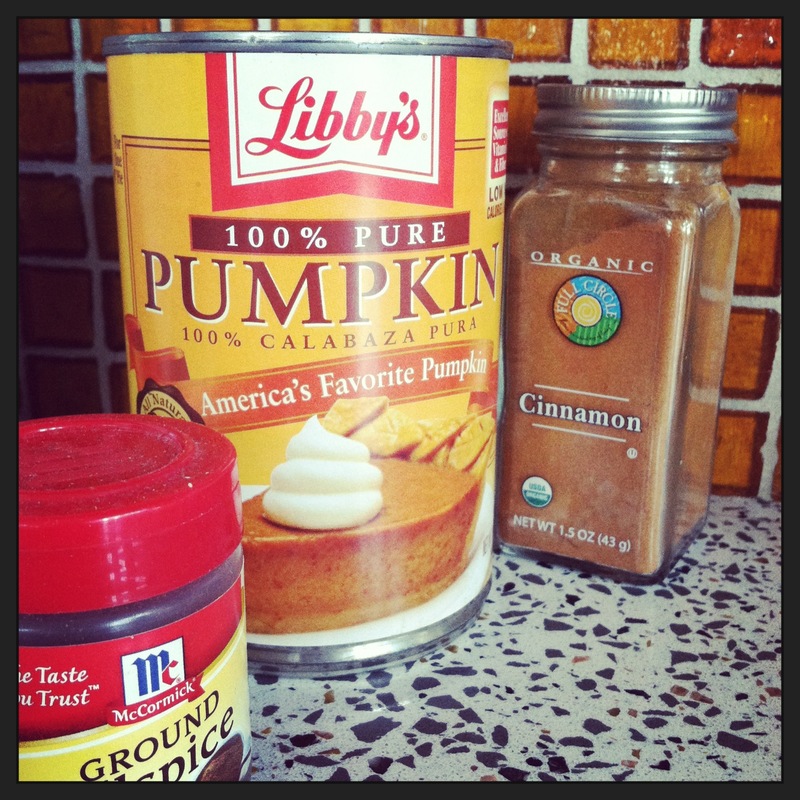 Here’s to being adventurous in the kitchen… and Libby’s canned pumpkin. In a large soup pot, heat oil over medium heat. 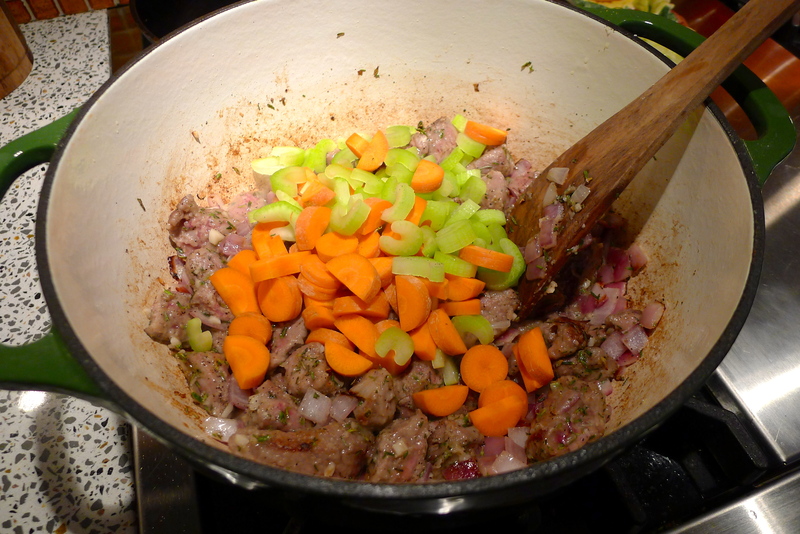 Add the onions, garlic, rosemary, and thyme (and carrot and celery) and sauté until the onions are tender. 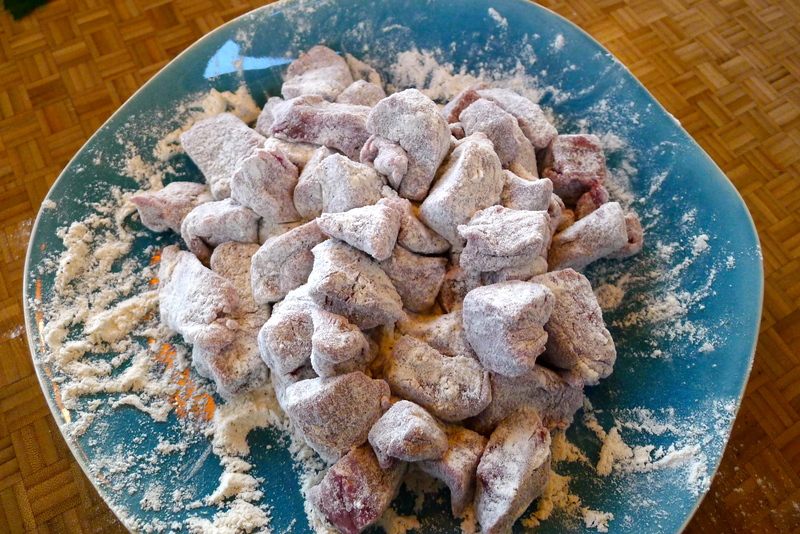 Toss the beef cubes in flour, salt, and pepper. 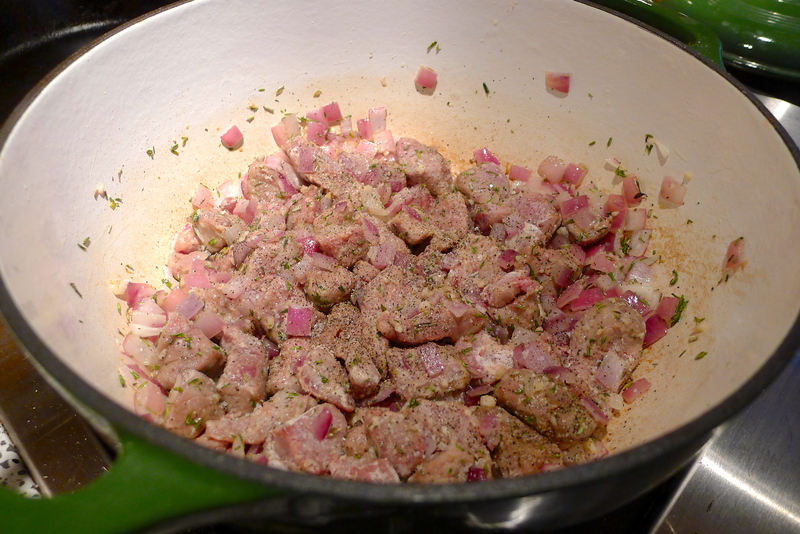 Turn the heat up to medium high and add the beef to the pot. 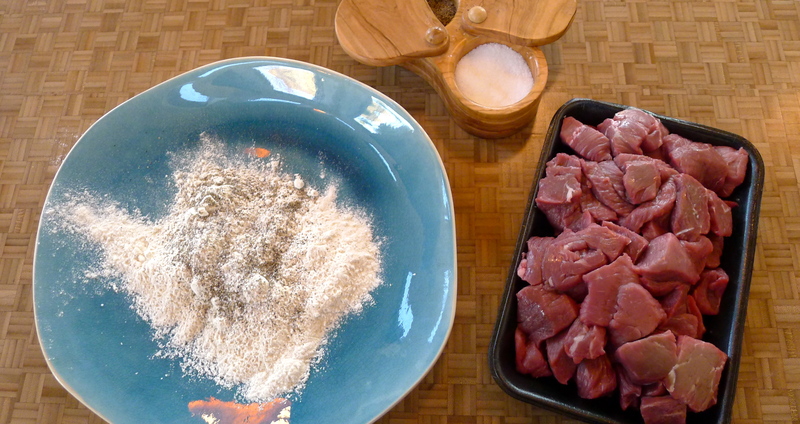 Cook until the beef is browned, about five minutes. 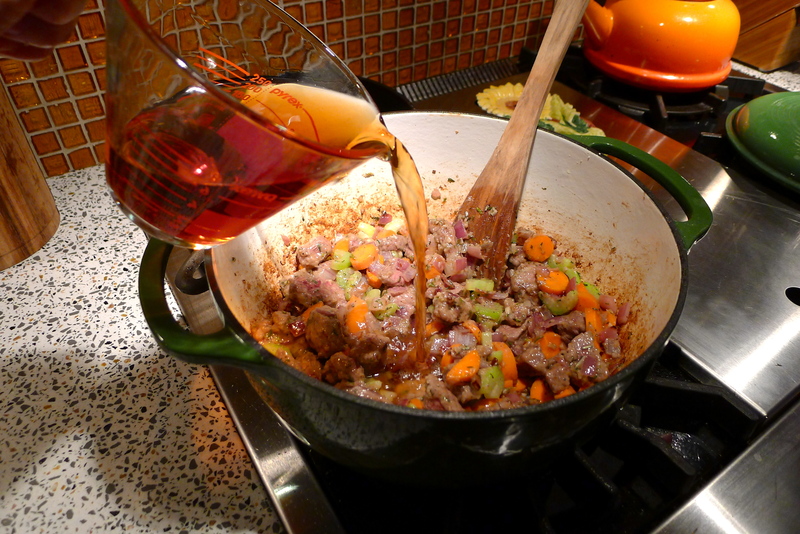 Add the Marsala wine, scraping up the browned bits from the bottom of the pot. 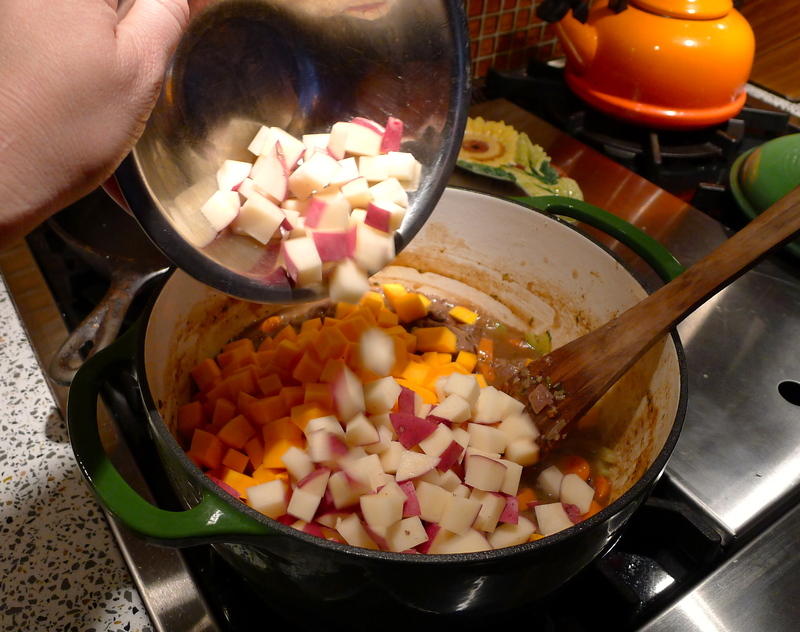 Add the sundried tomatoes and squash (and potato) to the pot and stir. 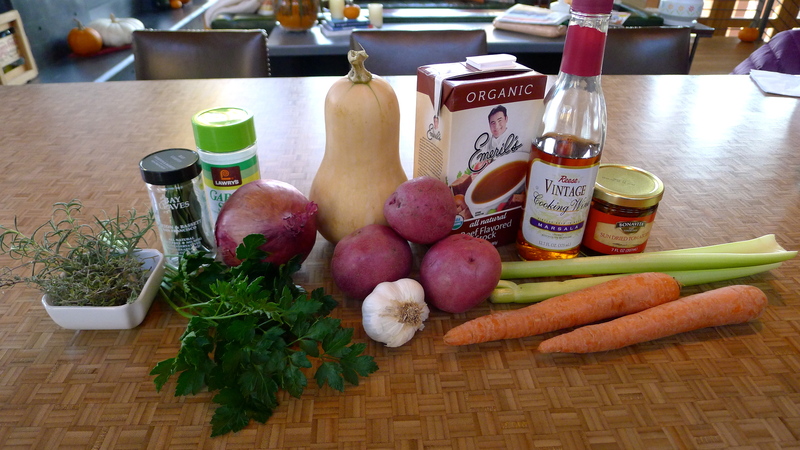 Add enough beef broth to cover the ingredients. Bring to a boil and reduce heat to low. Simmer, covered, for one hour. 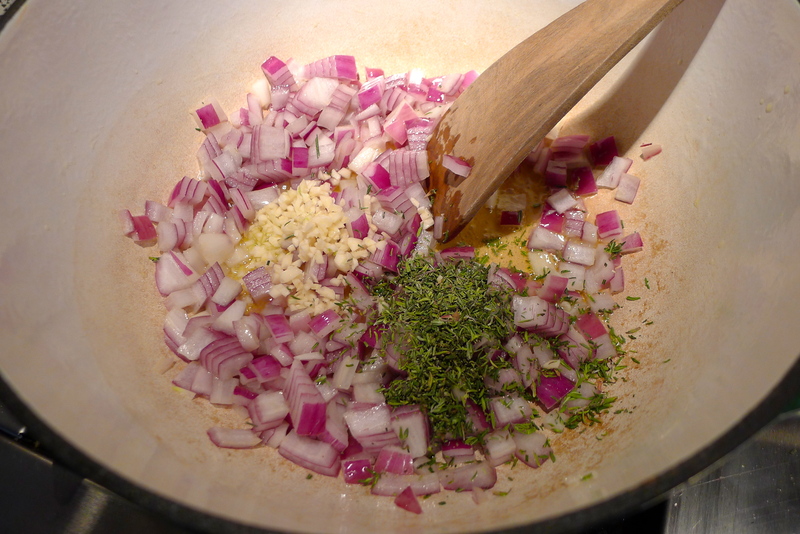 Adjust seasonings and serve topped with parsley. 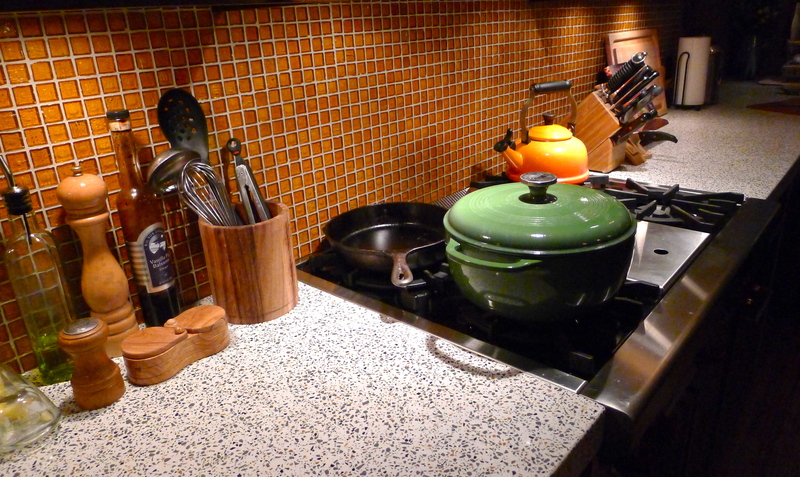 Clink a glass to kitchen bravery. Yum! Aaaaahahaha I love the story about your mom. 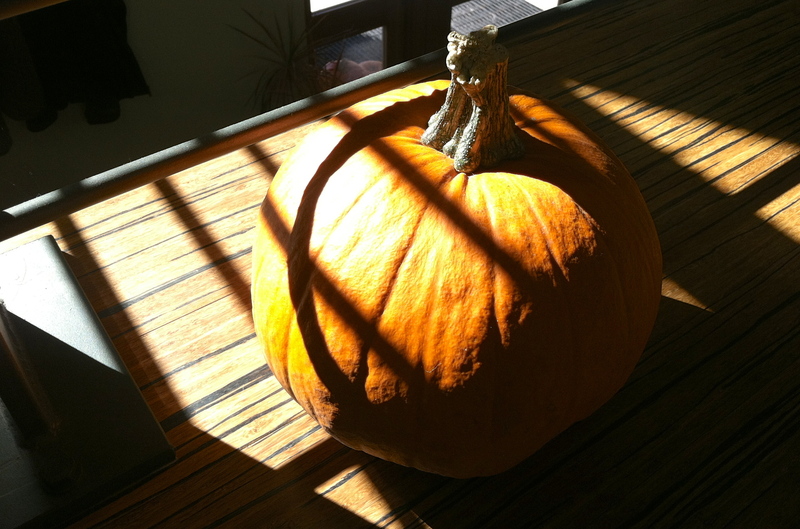 But seriously, preparing a pumpkin is such a huge pain! 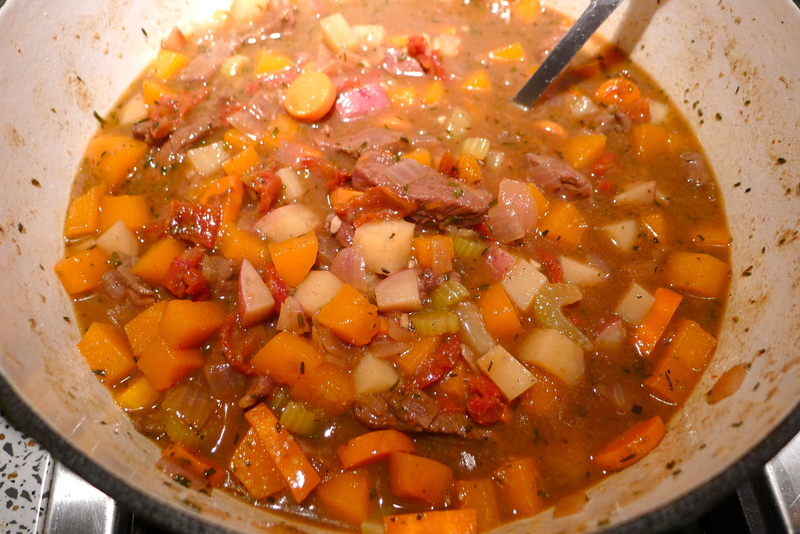 And that stew looks amazing!